What types of assets do you own? If you possess only a few bank accounts, some life insurance and a 401(k) retirement plan, a Revocable Living Trust is probably excessive. Rather, a Durable Power of Attorney and an Advance Medical Directive should be sufficient in naming someone to help you manage your finances, should you become incapacitated. Of course, you'll also need a Last Will and Testament to deal with your assets, after death. And if you own real estate, a Durable Power of Attorney will allow the agent named in the document to manage your properties, if you become unable to do so. Revocable Living Trusts can be far more powerful than Last Wills and Testaments, when it comes to family businesses, because they let a successor Trustee continue to manage the company, if you become incapacitated or die. But with wills, probate courts appoint a Personal Representative to make that decision, which can be both time-consuming and costly. Do You Want to Include Minor Beneficiaries? If you want more minor beneficiaries (individuals under the age of 18) to inherit some or all of your estate, you can establish a testamentary trust, which may be decreed either by a Last Will and Testament or a Revocable Living Trust. But there is a key difference between these two approaches. Namely: changes made to the named Trustees in a testamentary trust established by a Last Will and Testament, may require the oversight of a probate court, while changes to testamentary trusts created by Revocable Living Trusts do not require such oversight. The moment a Last Will and Testament is filed for probate, it becomes a public court document that anyone may read, giving virtually anyone access to information about your heirs, your assets upon death, and any outstanding debt you left behind. Contrarily, a Revocable Living Trust is a private document that never becomes public. Therefore the only people entitled to see a copy of your trust after you die, are the beneficiaries and the successor Trustees you've named in the trust agreement. Consequently, information regarding your heirs and assets are unavailable to nosy relatives, friends and neighbors. Are You Concerned About a Will Contest? Many attorneys believe the concealed nature of Revocable Living Trusts help prevent wills from being contested. After all, no one is likely to protest contents they don't even know about. Nevertheless, a will that goes through probate may be a better alternative in certain states that limit the time period in which people may contest a will, to one-to-two months after it's probated. Contrarily, the time period in which to contest a trust, ranges from six months to several years, giving potential trust contestants plenty of time to stew over the terms and initiate legal action. In short: there are pros and cons to obtaining Revocable Living Trust. 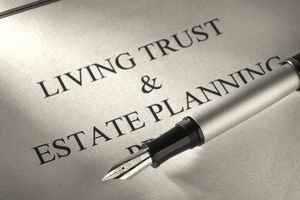 A qualified estate planning attorney should contemplate how a trust affects your personal situation, before advising you whether or not to embrace this option.